Artichokes are in season now and yes, these little prickly bulbs are tough on the outside, and yes, some of us have absolutely no idea how to cook them, but the truth is that they really deserve to be loved, because they are soft, tasty and truly bursting with incredible health benefits on the inside. Native to the Mediterranean area and a favorite in the region for thousands of years, artichokes were not only savored as a food but also used as a digestive aid and diuretic by the Ancient Greeks and Romans. Later in history, an artichoke compound was used to treat chronic liver and gall bladder diseases, jaundice and hepatitis. More recent research has identified even stronger evidence that the artichoke can also fight high cholesterol, arteriosclerosis, rheumatism and symptoms of diabetes. 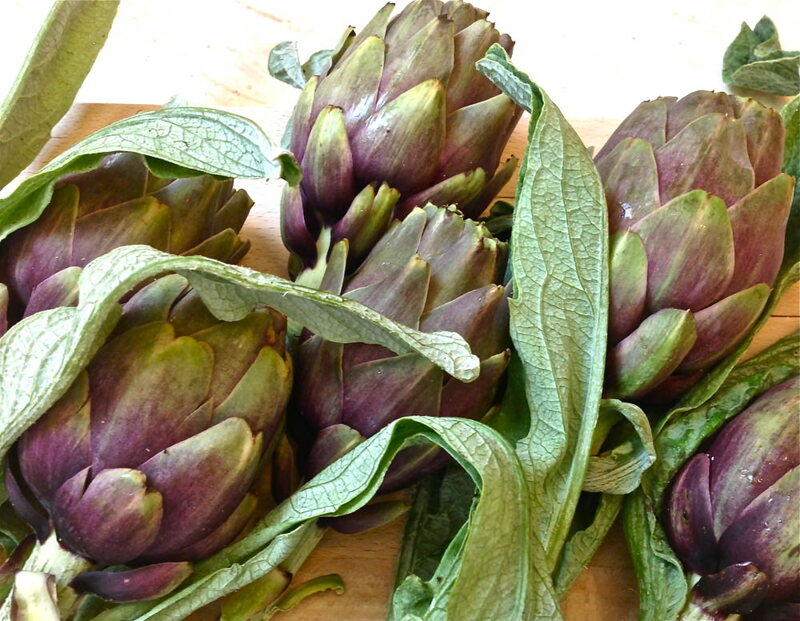 And if all the above are not enough to persuade you to add this little treasure to your diet, then how about the fact that artichokes contain high amounts of dietary fiber, almost 25% of our daily requirement, as well as very low calorie content and absolutely no fat? Significant as the health benefits may be, the weight loss benefits certainly play a very important role in our meal planning decisions…I know they do for me! Summer is around the corner and this is the best time to take advantage of the artichoke’s weight loss benefits. You can begin by adding a couple of artichokes to your meals, every so often…and with only 60 calories each…hey, go a little crazy, add a few more. Cooking artichokes nowadays is a lot easier than in the past because they are easy to find all year round and when in a rush for time are also available in jars or frozen already cleaned and ready to cook. 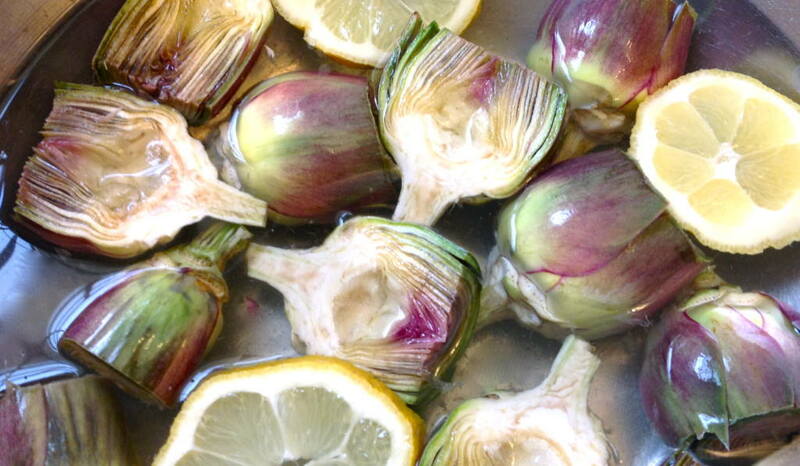 Note: It’s always a good idea to rub the cut side of the artichoke with a lemon to keep them from changing color. Slice them up really thin and marinate them in lemon juice, then add them to your favorite salad greens. Boil them and stuff them with your favorite stuffing and serve as an appetizer. Sauté them in a little olive oil and serve as a side dish with a nice fish filet. Sauté or grill them until golden brown and serve alone or bake with your favorite spring vegetable. We added them to fresh peas (which also happen to be in season) and slow cooked them in the oven. Try them – we know you’ll love them too!